Regardless of what industry your company in Melbourne belongs to, work can be quite stressful for employees. There are deadlines to meet, tasks to complete, and results that need to be seen. Corporate yoga can help enhance the health and wellbeing of employees and even their managers. It is a safe and inexpensive way to boost productivity through optimised focus, clarity, and even creativity amongst participants. Yoga programs can be tailored specifically for a corporate setting, giving emphasis on stress management, posture, and stretches. 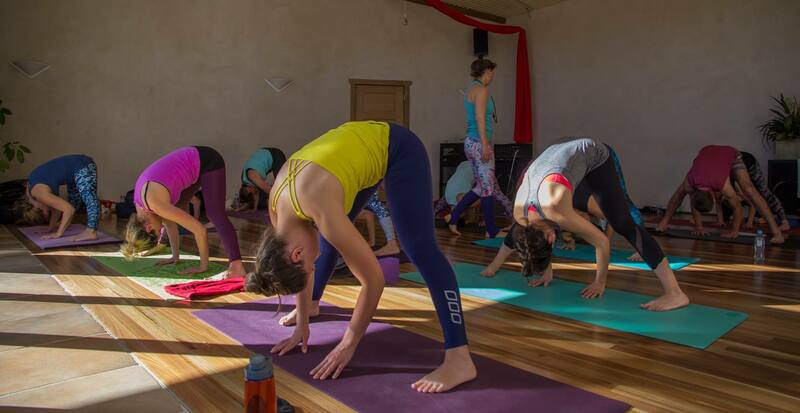 A yoga instructor will tailor a program that meets the needs and goals of the company. Yoga classes are short and serene so you can ensure that it won’t disrupt other employees. It is usually about 45 minutes and conducted in the boardroom or any private place that is quiet. Corporate yoga is a pleasant incentive that could attract new talent and earn the loyalty of those currently employed. Investing in yoga classes will truly show them that you care about their health and wellbeing, too. Acquire a Relaxed, Focused, and Productive Workforce. Call Us for More Info on Corporate Yoga. Offering a broad range of yoga classes, Absolutely Corporate is committed to sharing the wonderful benefits of Yoga to the health and wellbeing of corporate teams. Not only for employees but for their managers as well. Our yoga instructors are professional, experienced, and passionate individuals who understand what it is like working day in and day out in a corporate setting. Let us help your employees achieve work-life balance through yoga. Contact us to request a complimentary consultation.